"A mind full of preconceived ideas subjective intentions or habits, is not open to things as they are !" Some interesting stuff there, thanks @shoshin - I thought the scientific and motivational info was good and practical, about de-stressing the brain and redirecting thoughts. I think that there could be an entire practical art form of how to treat your own brain that comes out of that approach. I'm not a major worrier but I have the odd attack. Which means I usually just suffer through it, I don't have a lot of coping strategies. Staying relaxed in stressful situations is my major challenge, the question is how to stay in the moment and not cling to things that seem to be important. What has worked best for me for both anger and worry is to become a problem solver when I go down those roads. Taking action, even internal actions to change perceptions or attitudes, redirects alot of that energy into something constructive. I am off to read some of the positive 'daily gratitude' responses on the insighttimer.com app. Always makes me happy - no worry. Whenever I am unhappy I stop and remember how this time a year ago I was even unhappier. No matter how long or painful it feels to get better, improve, and move on, I can always look back in retrospect and see change. 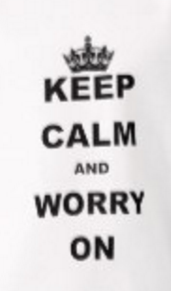 @Shoshin said:....How do you deal with worry? I don't let it worry me. ... I can always look back in retrospect and see change. Happiness is not something we take. Happiness is something shared. "You'll have to face it one of these days anyways" "It's better to learn to cope with it before it happens, than to fear it and let it keep bothering you" are some things I try to keep telling myself. Yes that's right, but sometimes you come across a place where you're blocked. For instance, yesterday I was about to do my tax returns (which here can only be done online now) when my computer decided to install a safety update, and my machine was locked up for a couple of hours. That was worrying and frustrating, without much relief in sight. For many problems, calm, detached analysis may be the best way to proceed. What is the apparent difficulty, what is the real difficulty, what are the possible options, how shall I proceed? But there are problems that really have no rational solution and no reasonable expectation that a favorable outcome is even possible. Anxiety becomes a powerful force that in-the-moment mindfulness cannot assuage. In my experience the use of a mantra can be very helpful in such a situation, and can block the insistent negative thoughts that are causing and strengthening the anxiety. 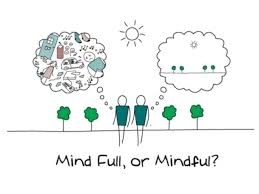 I use a lot of different things for this, mantras based on one of the factors of enlightenment, any inner mental quality that is in opposition to anxiety, Namu Amida Butsu, whatever seems to work best to squeeze out the negative thinking. I came across this article about "Happiness & Depression" yesterday in the NZ Herald..
"By reconstructing a kind of micro-happiness-culture, we showed that experiencing a negative setback in such a context is worse than if you experience that same setback in an environment that does not emphasise the value of happiness. Our work suggests Western culture has been globalising happiness, contributing to an epidemic of depression." 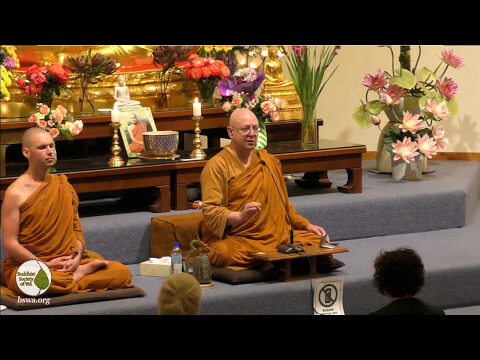 I have been listening to a lot of Ajahn Brahm. What a great, fun, happy man. @Shoshin I watched your Gross National Happiness video. It was very interesting. 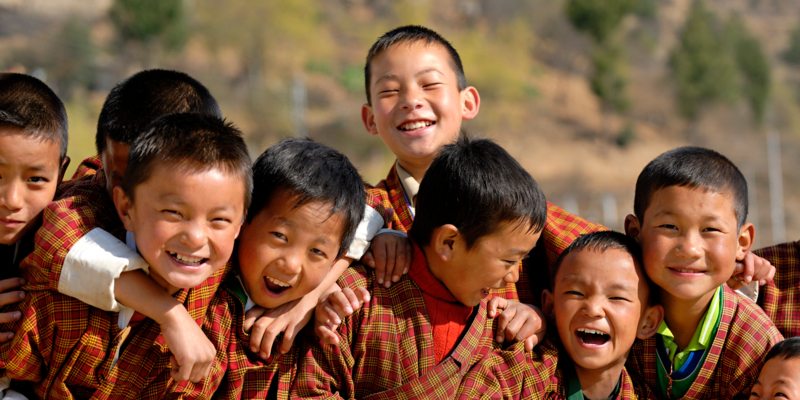 Bhutan seems to be in the midst of trouble. I hope it isn't befallen by conflict, like Tibet. Metta to the citizens of Bhutan. "While the face-off is unlikely to lead to war, it shows no sign of abating either. India and China must find a face-saving way to back away from the brink and withdraw their troops." This is exactly what "The Secret" and "The Law of Attraction" generated. A culture hell-bent on following inane but well-constructed advice on how to be happy by thinking and doing positively-based things. All this did was make the authors incredibly rich, and millions of people incredibly disappointed. Whereas if they had focused on their suffering and what made them unhappy, then perhaps they would have made a lot more progress. Because, as we all know, life is dhukkha. With regards simply to the "don't worry be happy" ideal, one thing I've realized is that happiness can't be a goal. At least not for me. Contentment, however, is another story. I can be content when I am sad, upset, frustrated or whatever. I cannot be happy in those states. When I've tried to make it my goal to be happy, I fail miserably and end up feeling even worse that I can't "turn that frown upside down" much of the time. But I can learn to accept and be ok with how I am feeling, even if I can't say I'm happy. Even if I happen to be worried or stressed. The second I say to myself "I'm worried right now. That's ok. What can I do?" the sensations of anxiety and inability to act lessen. Then my mind clears and I can go forward, either to let go of the worry or put something into action if possible.